The number of smartphones in the current market can be overwhelming for new buyers, especially if you are in the market for an affordable phone that packs top-of-the-table specs and features. While you can still opt for slightly older flagships such as Samsung Galaxy S6, LG V10, Sony Xperia Z5 or even the HTC One M9, just to name but a few, there are quite a number other interesting options out there that you might want to check out. 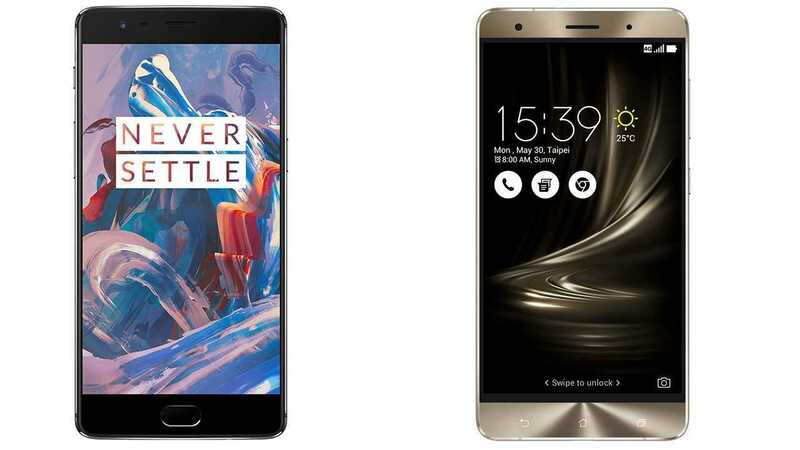 We have picked out two of the best – ASUS ZenFone 3 Deluxe and OnePlus 3. Both handsets come in as flagships, but their prices say otherwise. While the ASUS ZenFone 3 Deluxe is priced at $500 for the base model, the OnePlus 3 will set you back $399, something that will mean you save $100 for the latter. But what will you be getting for $500 and $399 as far as the ZenFone 3 Deluxe and OnePlus 3 are concerned, respectively? Well, here is a broader look at these two in terms of their specs and features. The cheaper OnePlus 3 comes in with a 5.5-inch Super AMOLED display panel that offers Full HD 1080p resolution. Under the hood, the OnePlus 2 successor comes in with an even better Snapdragon 820 SoC that is paired with an Adreno 530 GPU, 6GB RAM and 64GB of onboard storage. Just like its predecessor, the new OnePlus 3 doesn’t come in with room for expanding the memory. On the other hand, you will come across a slightly larger 5.7-inch ASUS ZenFone 3 Deluxe, but still offering the same 1080p Full HD display. Under the hood, you get the same Snapdragon 820 SoC as well as the 6GB RAM as that used on the OnePlus 3. While the base model of the ZenFone 3 Deluxe comes with an onboard storage of 64GB, there are two other options of 128GB and 256GB. It gets even better for the ASUS flagship as the three variants’ memory can still be expanded via a microSD card of up to 128GB, something that OnePlus only had on the mid-range OnePlus X. On the rear of the ZenFone 3 Deluxe is a massive 23MP snapper that is supported by an even better 8MP selfie camera. This combination outshines the one used on the OnePlus 3, which sees a 16MP lens appear on the rear and an 8MP sensor on the front. Software-wise, you will get Android 6.0 Marshmallow preinstalled on both handsets right out of the box. The two phones also share the same battery capacity of 3000mAh, which is not removable. So, which one will it be – ASUS ZenFone 3 Deluxe or OnePlus 3? Let us know your pick in the comments below.